Rhetorically, at least, the debate over military action against Iran is starting to look like a rout. In recent weeks, three opinion magazines—the centrist Atlantic, the liberal American Prospect, and the neoconservative Weekly Standard—have all published articles on the subject. The Atlantic article, by James Fallows, ends with this categorical statement: “Realism about Iran starts by throwing out any plans to bomb.” The Prospect story, by Matthew Yglesias, begins like this: “Should we go to war with Iran? The short answer is ‘no.’ The long answer is ‘hell no.’“ Not exactly subtle. Then there’s the Standard. Its cover shows Uncle Sam peering at a globe that looks like a bomb. The text asks, TO BOMB, OR NOT TO BOMB? A question mark! The Standard defines the hawkish pole in American foreign policy debates. It proposed militarily overthrowing Saddam Hussein three years before September 11. If it’s not sure that military action against Iran is a good idea, who is? The ambivalence would be easier to understand if the Standard believed there were nonmilitary ways to prevent Tehran from getting a nuke. But its lead essay disposes of that possibility in the fifth paragraph. “The diplomatic process,” writes the American Enterprise Institute’s Reuel Marc Gerecht, “no matter how hard the Europeans and the Americans may try, is coming to a close.” America’s choices are military action or an Iranian bomb. Huh? Surely, as a general rule, the burden of proof should be on those wishing to launch a war—except, perhaps, in response to a direct attack. That burden can sometimes be met, but there’s something a little sinister about suggesting that it should rest with those who don’t want to go to war—especially since Gerecht himself has just catalogued the ramifications that a conflict with Iran could bring. In this particular case, the burden of proof is this: Hawks must show that, if Iran gets a nuclear weapon, it cannot be deterred from using it or transferring it to terrorists. That standard shouldn’t make doves rest too easy. It’s too glib simply to declare that deterrence “worked” during the cold war. As John Lewis Gaddis notes in The Cold War: A New History, deterrence came very close to failing—not merely in the Cuban missile crisis, but during the Korean war as well. In the cold war’s terrifying first decade and a half, using nuclear weapons was far from unthinkable—not only in Moscow and Beijing, but also in Washington. Doves need a theory explaining why the circumstances that allowed deterrence to unexpectedly succeed between Washington and Moscow and Washington and Beijing (and, for that matter, Moscow and Beijing) would also hold between Tehran and Washington and Tehran and Jerusalem (and, for that matter, Tehran and Islamabad). And, if doves skip this deterrence debate—staking their case on America’s ability to prevent Iran from getting a bomb in the first place—they will be making a big mistake. Diplomacy is worth trying, but we shouldn’t kid ourselves: It will probably fail. Russia and China won’t wield sticks. And the United States and Europe have no carrots that Iranians (including Iranian nationalists who loathe the regime) want as much as they want the bomb. If doves don’t argue for deterrence now, they will find themselves in an intellectually precarious position down the road, when America’s options come down to deterrence and war. But, if doves have intellectual work to do, it is nothing compared with the burden on hawks. Gerecht dismisses deterrence against Iran in three breezy sentences—and on that basis proposes a war he admits could last a decade. That’s pathetic. As shaky as deterrence was in the 1950s and early ‘60s, it grew stronger, and leaders of radically different ideological and cultural stripes increasingly avoided the nuclear brink. Whether President Bush wants to admit it or not, the United States is relying on deterrence even today against North Korea, as isolated and nutty a state as exists on the face of the earth. 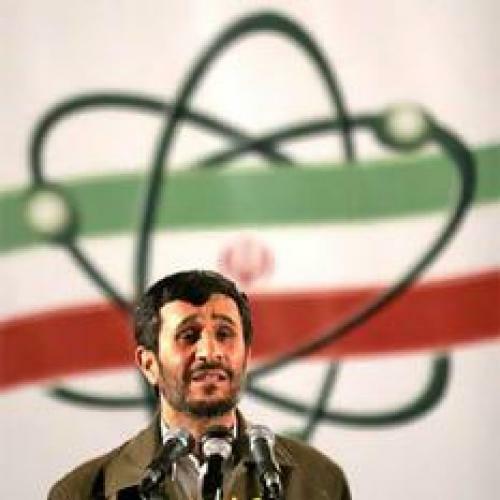 If hawks want to argue that Mahmoud Ahmadinejad, Ali Hashemi Rafsanjani, and Ayatollah Ali Khamenei are fundamentally more irrational than Nikita Khrushchev, Mao Zedong, and Kim Jong Il, they will have to do better than vague allusions to “the Islamic Republic’s dark history.” (For all his obscene Holocaust references, Ahmadinejad has still not said anything as menacing as Khrushchev, who, in a 1958 meeting with Hubert Humphrey, circled Minneapolis on a map and told him that, as a favor, he’d spare Humphrey’s hometown when Armageddon came.) Where is the evidence, in the 25 years since Iran’s mullahs came to power, that threats of military retaliation don’t affect their behavior? Where is the evidence that they seek martyrdom so fervently that they would risk the one thing that most regimes value above all else: survival? To be sure, Iran is a longtime sponsor of the murderous Hezbollah. But is there any reason to believe, from what we know of their relationship, that Iran’s leaders would give it control of their most precious military possession? And, if the mullahs are so eager to launch nuclear weapons against Israel, why haven’t they launched the chemical and biological weapons they already have? There may be good answers to these questions. But, so far, the hawks aren’t providing them. So far, in fact, they are barely even convincing themselves. Peter Beinart is a Contributing Editor to The New Republic and the author of The Good Fight: Why Liberals—and Only Liberals—Can Win the War on Terror and Make America Great Again. This article appeared in the May 8, 2006, issue of the magazine.